The station boasts of 100 per cent LED lighting,five star rated fans, pumps and motors and solar water heating systems. Vijayawada railway station has received Gold Rating by the Indian Green Building Council. 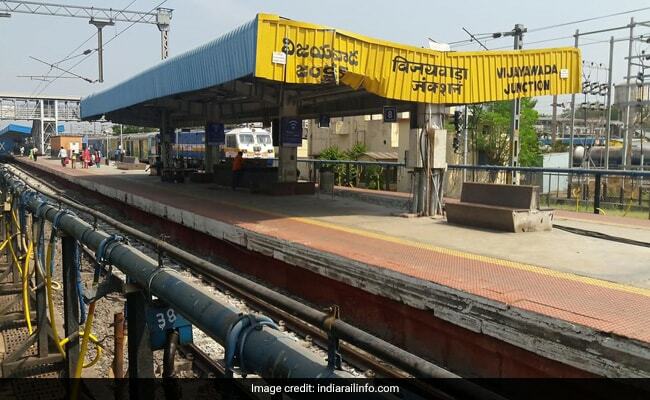 Vijayawada railway station, one of the busiest railway junctions in the country, has received Gold Rating by the Indian Green Building Council. Council Chairman Meka Vijaya Sai presented the gold rating shield to Divisional Railway Manager R Dhananjayulu on Monday. The IGBC-CII, with the support of the Environment Directorate of Indian Railways, developed the Green Railway Stations Rating System to facilitate adoption of green concepts, thereby reduce the adverse environmental impact due to station operation and maintenance and also enhance the overall commuter experience, a railway release said. The rating system helps to address national priorities like water conservation, handling of waste, energy efficiency, reduced used of fossil fuel, lesser dependence on usage of virgin materials and health and well being of occupants, it said. The DRM said that Vijayawada Railway Station was ranked fourth in the Indian Railways for cleanliness among A-1 category stations. The IGBC chairman asked the railways to improve green cover at the station from 22 to 50 per cent.